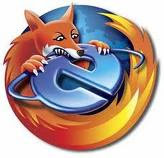 I'm not gonna mince words - I prefer Firefox. I avoid Internet Explorer. Opera doesn't do it for me. Chrome is decent and I can't fault folks who like it, but me, I'm a Firefox man. Why you may ask? Well part of it is just a familiarity. Firefox has been around for a while now and when it became apparent that it is vastly better than the slow, bloated, and lacking in custom plug-ins Internet Explorer, I jumped ship and never looked back. IE also had some bad memory leaks early on that would slow your system to a crawl if you left it running for too long, and once Firefox came in and rectified those, I was sold. Did I mention the viruses? Oh yeah, Internet Explorer is far more susceptible to those too. But my favorite thing about Firefox is the add-ons, and I'm going to tell you about some of my faves. By far and away the most useful of all the Firefox add-ons is Adblock plus, http://adblockplus.org/. This little beauty block all ad content in your browser, including flash videos like youtube and the like. Hate all those annoying banners and videos? Of course you do. Get yourself Adblock plus, and they become a thing of the past. I also really like download statusbar for a slicker download notification down in your status bar. Fireftp is a great FTP client, for free, built right into Firefox. ChatZilla is also a great irc chat client for the Fox. PDF Download is a great way to manage the way to view PDF files in the browser. And these are just the tip of the iceberg. There are literally 100's of these, and the best part, totally free. Some of the developers do accept donations, so if you find any of these particularly helpful, I'm sure they'd appreciate your support. So faster, more customizable, and less virus prone than IE. Sounds like a pretty fair reason to kick IE to the curb, don't you think? We like it so much we load it on every computer we service here in Los Angeles and we recommend it to you Mac users as well. Now I'm sure I'm missing some great add-ons, so if you've got some suggestions, let me know and I'll update this article. But for now, everybody rock the fox! We sure do! Call us toll-free at 888-789-STAN (7826) to set up an appointment or visit http://www.stansgarage.com for more information.